At the start of each year, I examine our household systems to see what we can do more efficiently, or better, or even just adapt or change with the varied nature of family life. This sets our family up well for the year. Over the years of refining our systems every year, I have fine-tuned the laundry and it’s working well. I’ll share five laundry hacks that work for us. The best hack to help me stay up to date with the washing is sorter that stays in the laundry. As washing is dry, whoever is doing the chore folds and places items in their respective baskets. Then at the end of the day (or whenever needed), the children can take their washing pile and put it away. 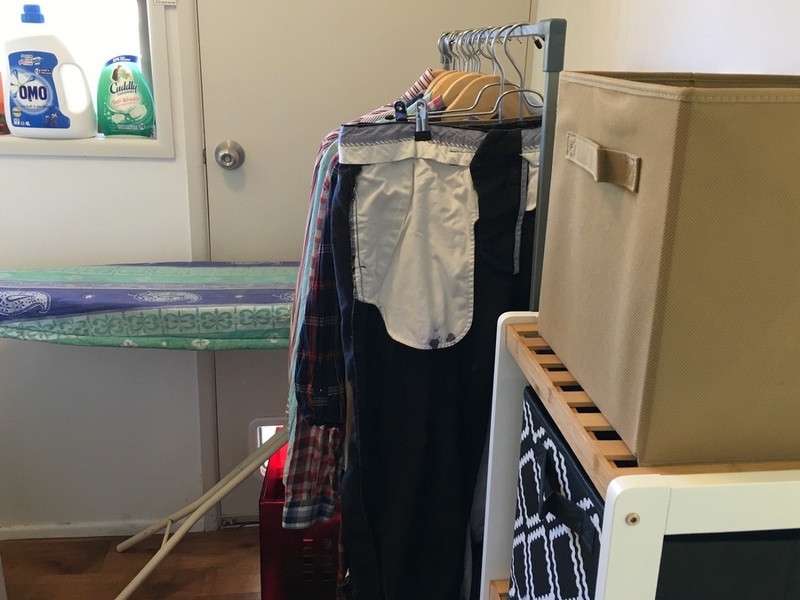 My laundry is really small, and this narrow four tier unit with baskets works really well because it’s tall and takes up minimal space. 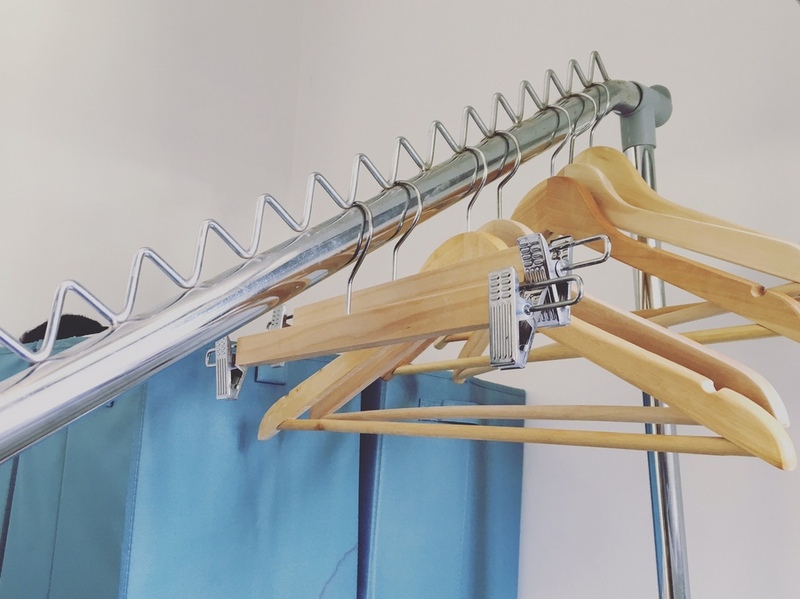 Seems like a simple thing, however good hangers really do make a difference to the way the clothes hang and keep. 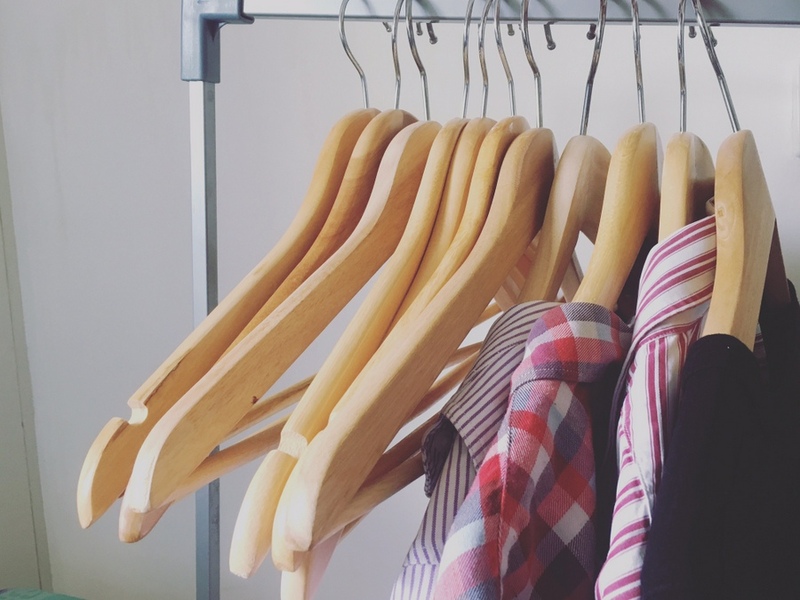 I use wood hangers which help maintain shape and the clothes don’t constantly fall off the hangers! I wash school uniforms separately from regular clothes, or include them in a small load with similar colours. There are a few reasons for this. Firstly, we don’t have a lot of uniforms per child, so we tend to do frequent washes. Secondly, I find it easier to keep track of uniforms if I keep it simple; and thirdly, I find clothes tend to come out better than having them stuffed in a big wash cycle. I also add a little fabric conditioner, because I don’t like to iron uniforms, and this can assist with minimising wrinkles. 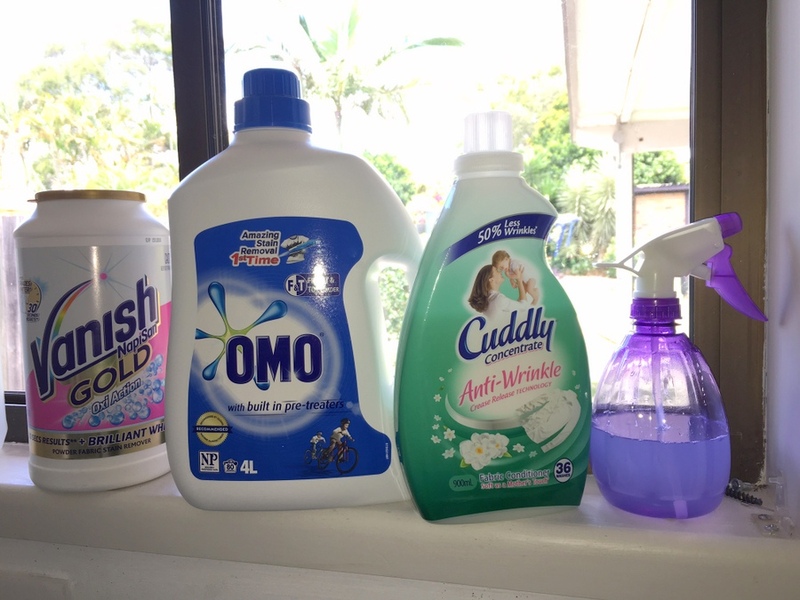 If you like using fabric conditioner, there’s an anti-wrinkle option from Cuddly that is designed with this in mind. 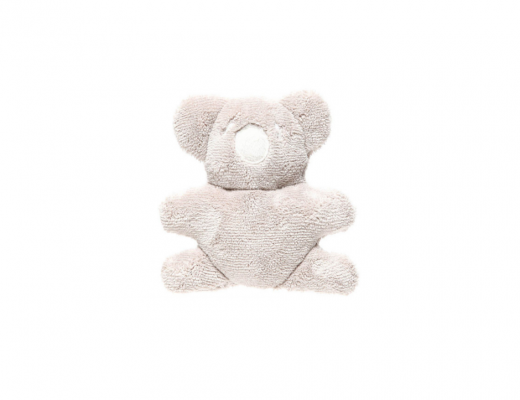 Cuddly Anti-Wrinkle assists to keep clothes wrinkle free, tests show up to 50% compared to simply using detergent. If you want to try it, there are small 450ml bottles and larger 900ml bottles that you can buy. I hang the uniforms after they are dry in the laundry on a rack and of a school morning, the children come and get their respective uniforms. 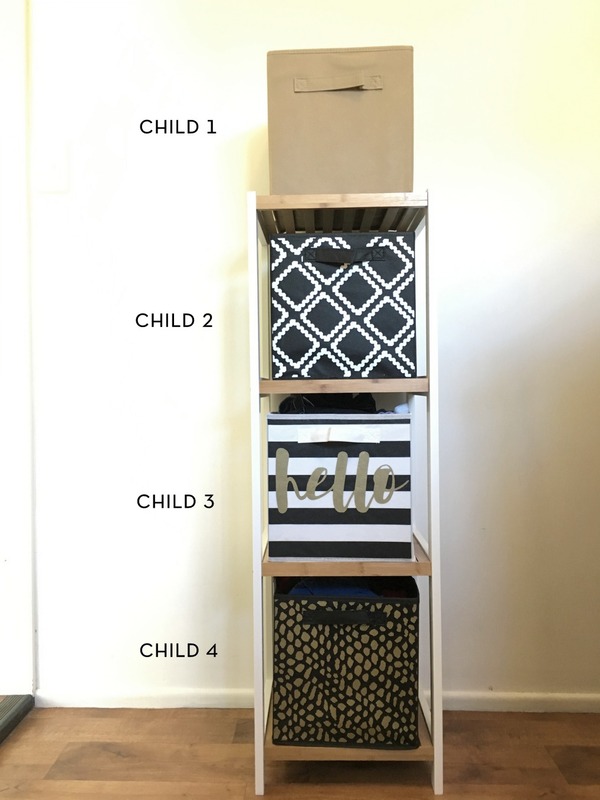 Keeping them out of the rooms and creating a central spot for them helps our family stay organised. I use an angled rack (pictured below) for uniforms rather than a bar rack. 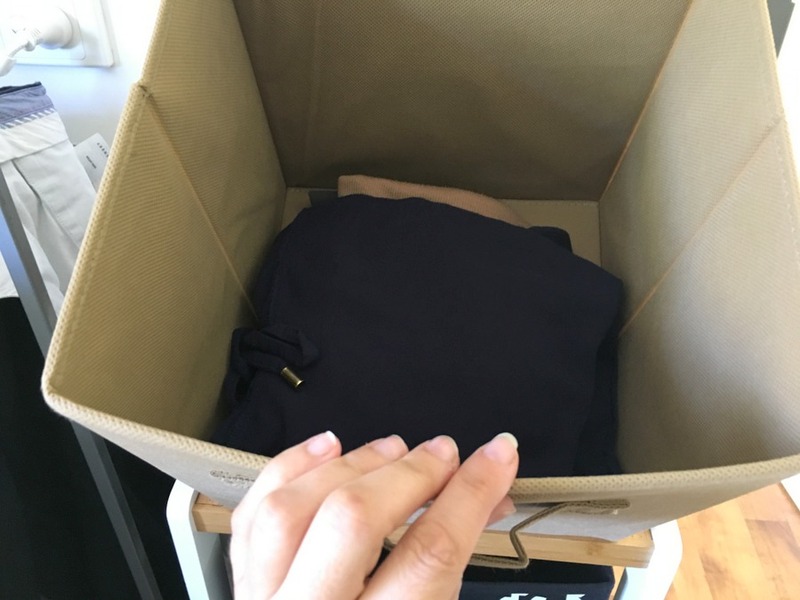 This one separates each clothing piece so uniforms are easy to find and it also helps keep items from being crushed. If missing socks are an issue, keep them out of the bedrooms. This has been the BIGGEST laundry success for our family. 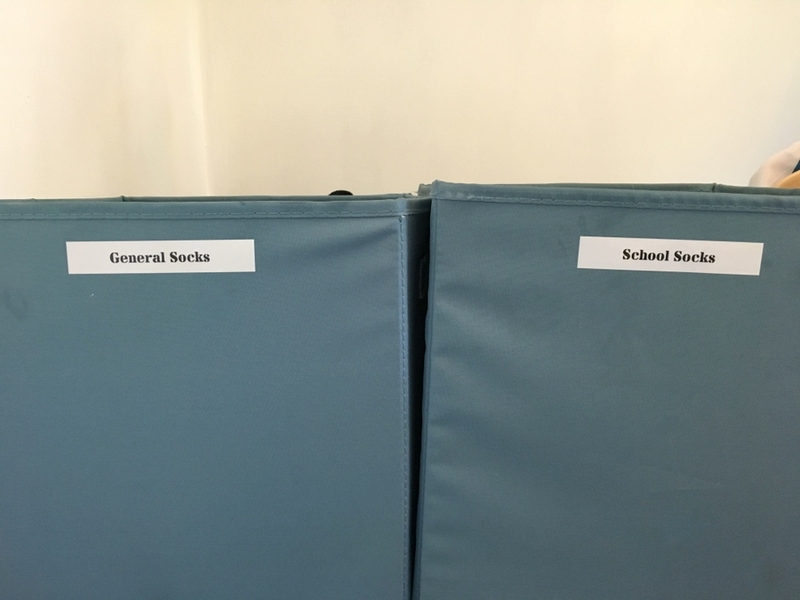 We have a regular sock box and a school sock box, and everyone knows where to come for their socks and they tend not to go missing so often after the wash because they stay in the laundry. Washing, washing, washing: it feels like a never-ending cycle sometimes. Refining the laundry organisation helps me minimise the workload, create systems that everyone can use, and probably most importantly, it allows everyone to get on and do what they have to do. When I snapped the back to school photograph this year – with all my four standing in a row, looking so neat and fresh, ready to tackle a new year – it pulled on my heart strings. I was glad to be reminded of the privilege it is to care for my ones. Do you have any laundry hacks to add? Thanks Kelly! LOVE the idea of the ‘Sort As You Go’ system. My crew seem to leave their piles all around the house and then complain when they can’t find the item they are looking for :/ This would solve this frustration! We had the same problem! 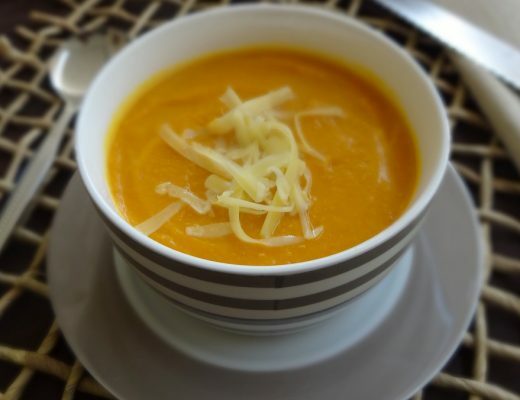 This system is working so well for us and minimising the work load too. Ditto with the socks!! I got so frustrated sorting school socks out after a wash that I eventually just put them all in a basket in the laundry. So now mornings are a lot easier, everyone knows where the school socks live and they sort them out themselves into pairs. Winning! !